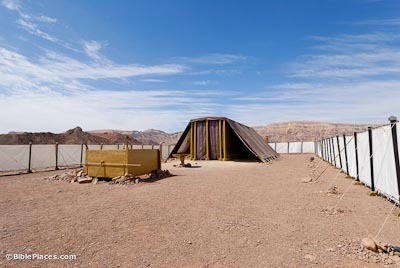 At Timna Park, 20 miles (32 km) north of Eilat in the Arabah, a life-size replica of the biblical tabernacle has been constructed. 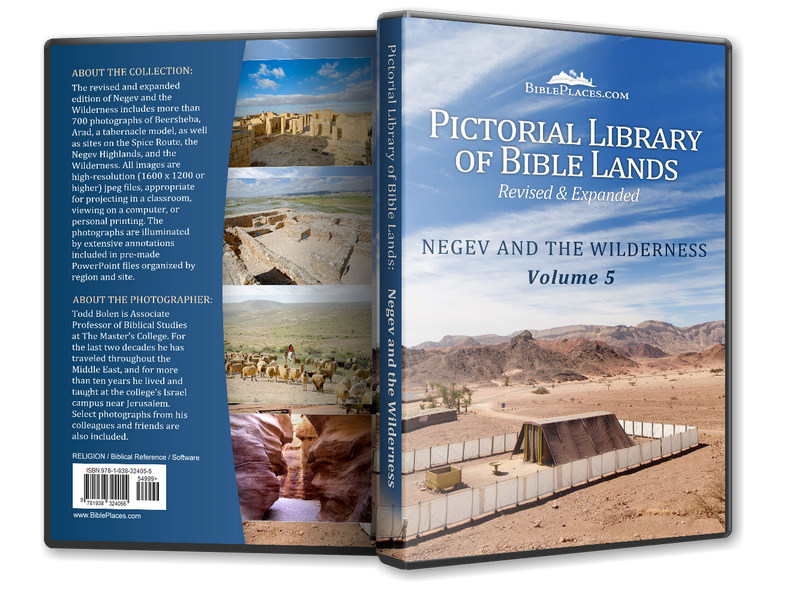 While no original materials (e.g., gold, silver, bronze) have been used, the model is accurate in every other way based upon the biblical description. The bronze laver and bronze altar were located in the outer court. The altar was 7.5 feet (2.3m) square and 4.5 feet (1.37m) high, was made of acacia wood overlaid with bronze, and had a horn on each corner. The fire on the altar was to be kept burning at all times and the daily sacrifices were offered in the morning and afternoon. 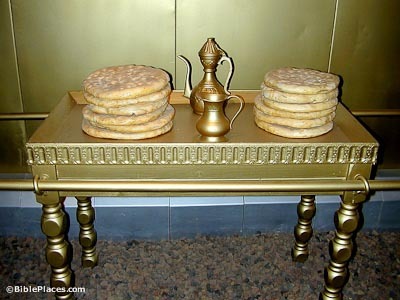 This sacred area was occupied by the golden lampstand, incense altar and table of showbread. The lampstand (menorah) was beaten and fashioned out of a single block of gold and had three branches coming out of each side of the central shaft. The seven lamps on top of the branches were likely round saucers with pinched rims which held the wick and olive oil. Opposite the menorah was the table of showbread. Built of acacia wood and overlaid with solid gold, the table had a surface of 3 x 1.5 feet (0.91m x 0.45m). Twelve loaves of bread were placed on the table on Shabbat and were replaced by fresh bread the following Shabbat. The high priestly line would eat the replaced bread. Also known as the “golden altar” or the “inner altar,” this three foot high altar was the location of regular incense offerings. Every morning and evening when tending the light of the menorah, the priests would offer a mixture of frankincense and other aromatic gums. 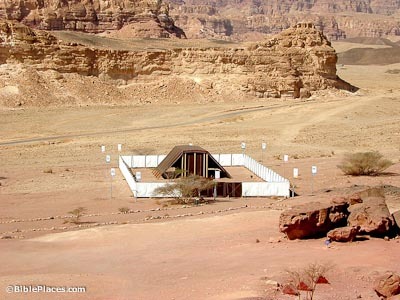 On the Day of Atonement, the high priest would sprinkle blood on the horns of this altar. 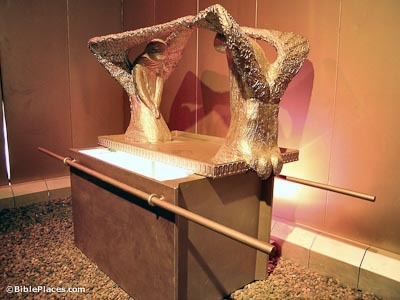 The only object in the Holy of Holies, the sacred ark contained the two tablets with the Ten Commandments, the rod of Aaron that blossomed and the pot of manna. 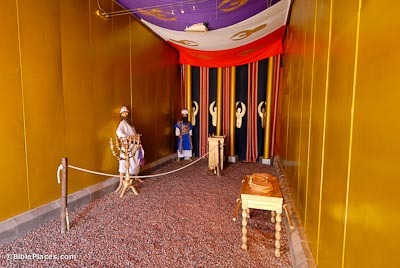 The ark was covered by the “mercy seat” on which the high priest sprinkled the blood of the goat seven times on the Day of Atonement. 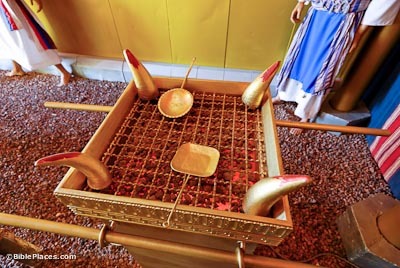 The ark represented the footstool of God’s throne.